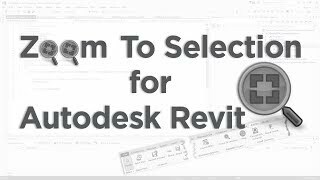 With the ‘Zoom To Selection’ for Autodesk® Revit® add-in, you can now easily zoom the view to all selected elements. This is the first version of Zoom To Selection. So I've been trying to get the tool "Zoom to Awesome" to work for about a year now on and off. Never could get it to work. But this is exactly what i was looking for! Thanks so much! Glad that it helped you!